It’s been a long 6 years you guys, but Ralph Breaks The Internet is in theaters now! So break out your best selfie poses, filters, and hashtags because we are going to the internet! And just like a typical day on the net, we are going to get some major laughs and maybe even learn some life lessons along the way. I’m sharing it all (minus the spoilers of course) in my Ralph Breaks The Internet review! If you thought the first Wreck-It Ralph was funny you haven’t seen anything yet. The one-liners, internet puns, and jokes for both kids and adults were all perfectly timed. You can expect more of Ralph and Vanellope’s adolescent humor, snarky remarks all the parents will immediately get, and lots and lots of well, you’ll just have to watch and find out. You know I love writing Easter Egg posts. Don’t worry I’m working on the massive list for Ralph and it will be ready Monday. But I will tell you to look out for Sorcerer Mickey, Stan Lee (rest in peace), and viral stars. If you like Easter Egg check out these popular posts: Ant-Man and The Wasp Easter Eggs, Infinity War Easter Eggs, and Christopher Robin Easter Eggs. I’m starting with this one because it might be my favorite lesson of the film. It’s okay to be honest, not only with your friends but also yourself. Vanellope is looking for more in her life while Ralph seems content to keep to the same routine. Once she admits it to herself, she finds it hard to tell Ralph how she feels, worried for him and their friendship. It can be scary to tell our friends how we feel but in the end true friendship only grows stronger. If your friends can’t accept you for who you are then they aren’t really your friends. While this might be more of a cautionary tale to children, I think some of the adults needed some reminders. First of all being the internet isn’t all unicorns and kittens, there is a lot of shady and scary things out there. Parental controls are your friend moms and dads! Second, don’t read the comments. Yesss warns Ralph about this and she is so right. Especially on video content, people can be super hurtful. I’ve had to learn to block, report, and move on. People can be the worst. Third, don’t use the internet unless you know some basics like how money works, that social networks aren’t super private, and to stay far, far away from the dark web. FYI this is not what staying away from the dark web looks like. There is no right or wrong way to be a Princess. Each Disney Princess has their own unique qualities and gifts that make them special. If Cinderella was like Rapunzel that would be boring. We love the Princesses because they are different. Just like the world as a whole, if we were all the same life would be dull. It’s our differences that make life awesome, when we choose to accept others and not fear or hate them. Ralph is clearly out of his comfort zone. He’s a retro arcade game character who finds himself in the vast and sometimes insane world wide web. That’s pretty scary, for anyone. But once he embraces this new world he begins to loosen up and have some fun. Does this make for some misadventures? You bet! But they are hilarious so just go with it Ralph! It might be safe inside your box but it can sure get boring, fast. It’s okay to step outside and explore the world. It’s an awesome place full of interesting places to see and people to meet. It’s an age old saying, don’t judge a book by its cover. Ralph, Vanellope, and all of us, learn that this still applies, even if your game play looks extremely wicked. Why did the shark eat the dog?! Some people might seem angry or scary but are actually pleasant and nice. While others who you think are good people turn out to be the absolute worst. Next time you meet a new person (or game) keep an open mind, you never know, you might be meeting your new best friend. Do yourselves a favor, treat Ralph Breaks The Internet like a Marvel movie. There are 2 credit scenes and more Easter Eggs in the credits! They are both hilarious and one might just give you clues about an upcoming Disney movie. My lips are sealed. 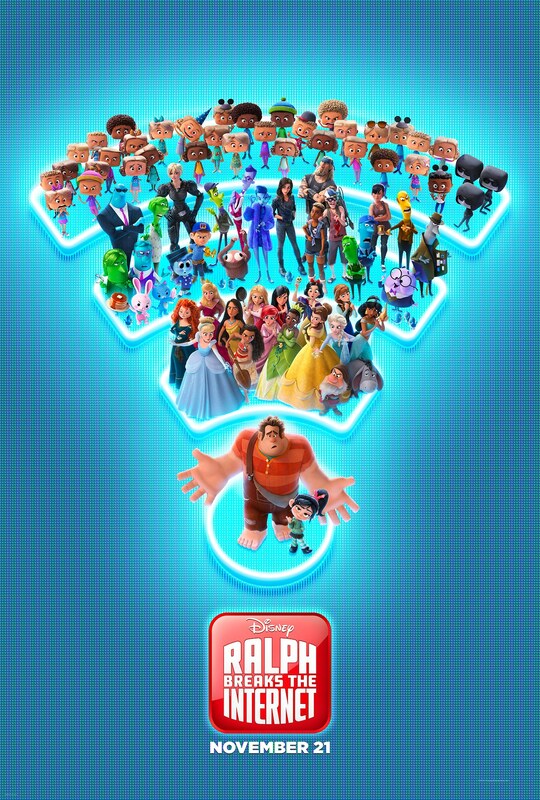 You’re going to have to find out for yourself when you see Ralph Breaks The Internet! My kids can’t wait to see this film at the theatre. They have been talking about this movie since they saw the trailers. The lessons shared by this movie are great ones for kids to learn. I am most excited about the Disney Princess scene, too! We all loved the first Ralph movie and we are so excited about this one. I’m even more excited after reading your review. So excited for this movie and glad it’s out while the kids are out for Thanksgiving break. Get out of your comfort zone. Best tip ever! I’ve seen the trailer and read some reviews on this movie. Now, I can’t wait to watch it! Very great review! I’m so excited this is now available at the movies. The grandkids have been wanting to see this and even I love funny movies like this. I love tha trailer! I need to show it to my kid. I hope he’ll like it! I think we’ll have one more movie to watch on our movie list! Thanks for the amazing review. I can’t wait to see this movie with my kiddos soon. I am excited to see this with my family. We have tickets to see it Sunday and we cannot wait. It sounds like it’s going to be a great one to see. 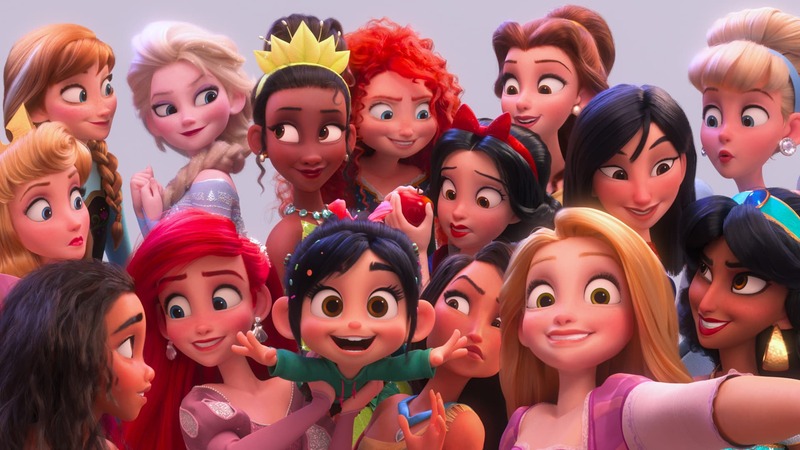 I really want to see Ralph Breaks the Internet. It seems like a really cute movie and I loved Wreck it Ralph. This movie looks like it’s going to be a good one! I cna’t wait to go see it in theaters!! Sounds like some valuable lessons being taught in this film. We are itching to see it with the kids! I’ve heard so many great things about this movie. I can’t wait to go see it with the kids later this month. Wow, this is the most awaited movie of my daughter and finally we are going to watch this in the theaters on the next day. I cannot wait to see this movie! The trailer already made me LOL. I bet the movie is 100% funnier. I can’t wait to watch this movie – so excited for it! And I must agree: honesty is always the best policy. this sounds like interesting movie, I would like to take my kids to the movie, they are talking about this for long time. Thanks for the review.